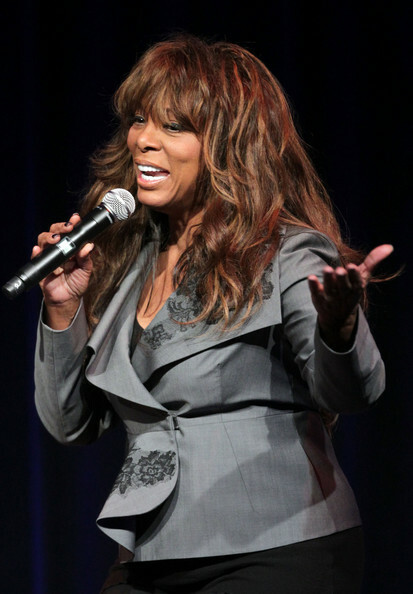 Donna Summer performs onstage during the ‘Great Performances: Hitman Returns – David Foster & Friends’ panel at the PBS portion of the 2011 Winter TCA press tour held at the Langham Hotel on January 9, 2011 in Pasadena, Calif.
*The Rock and Roll Hall of Fame has announced this year’s nominees, and the list proves that the definition of rock-n-roll has expanded to include 70s disco and game-changing hip hop. Additional acts up for possible induction are the New Orleans funk band the Meters, blues guitarist Freddie King and Motown girl group the Marvelettes. The 28th annual Rock and Roll Hall of Fame induction ceremony is set for April 18, 2013, at the Nokia Theatre in Los Angeles. A final 2013 list of inductees will be announced in the coming months. The 2012 class included Guns N’ Roses, Beastie Boys, and Red Hot Chili Peppers. The rest of the ballot is similarly diverse. There’s German techno-pop pioneers Kraftwerk, singer-songwriter Randy Newman, progressive predecessors Procol Harum and Chicago blues rockers the Paul Butterfield Blues Band joining traditional rock nominees Deep Purple, Rush, Joan Jett and the Blackhearts and Heart. The ballots will now go to an international voting body of more than 600 “artists, historians, and members of the music industry,” according to the Rock Hall, which has its museum in Cleveland.